This episode of PR Hangover features Amanda St. Pierre and Adam Russo, both founders of their own public relations businesses. 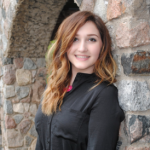 Saint PR is a one person gig – Amanda has been working on her own for two years and hiring freelancers when needed. Adam’s COM 616 has been in business for five years and currently consists of a small team of interns and professionals, with hired contractors for additional help. Amanda had been at the same organization for 11 years and felt that it was time to make a change. She’d stay up all night making business plans for businesses that didn’t exist and weren’t related to her line of work. Having an 8 year old has made a huge impact on her career and she loves being able to work her own hours and determine which clients to take on. For Adam, he’d always think of the next idea, whether it was selling rocks door-to-door as a kid or wanting to go off on his own path as an adult. Flexibility is one of his favorite aspects of owning his own firm, but he also loves how he’s able to see what he’s been working toward and building throughout the years. He says his business feeds his competitiveness. Amanda and Adam agree that previous relationships helped them build their list of clients. A lot of the business they had when starting off independently came from their previous employment. They’ve both built their client-base from word-of-mouth and referrals from other clients and professionals. But when you have your own PR business, professional development is on you. You might feel isolated and lonely, so you need to make sure you’re still working on your network. 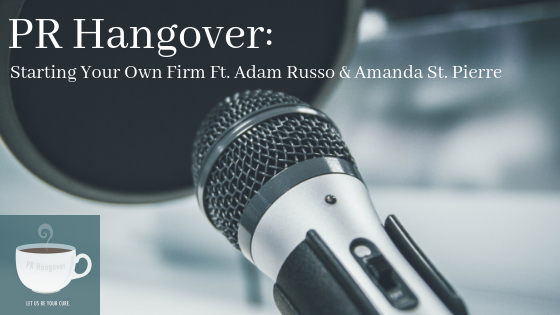 Adam and Amanda have both been involved in professional organizations, making it easy to connect with their peers and gain new business contacts. Go to that conference, make that connection, and build that relationship – you never know who can point you in the direction of your next big client. Adam has taught some PR courses at GVSU, so he’s been able to meet solid students that need internship experience. It’s not just about the quality of work, it’s also about their personality and making sure things fit. Amanda says her biggest challenge is to find a match, comparing it to dating. You’re either referred to them or come across them and try it out. “I’ve never given it any thought,” Amanda says. Amanda and Adam agree that there’s plenty of work to go around, especially when it comes to content creation. They’ve both had experience with referrals and collaboration with other professionals in the area, despite being smaller businesses. They both focus on their own clients and the relationships they build with their peers. At the end of the day, people do business with people, so Adam says you need to establish your own personal brand so you can find other companies that mesh with that. 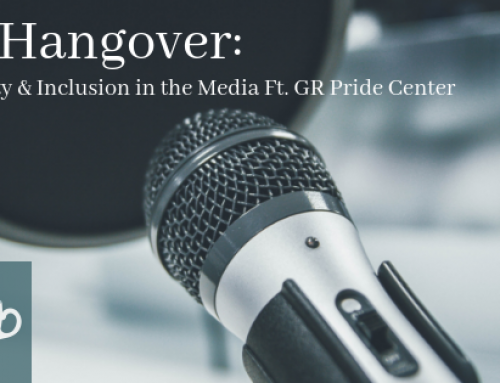 Interested in Starting Your Own PR Firm? Amanda suggests finding your niche. She says there’s been plenty to do in her lane and that focusing on what she knows has been best for her, instead of going off and trying to offer every single service. Adam says you either have the drive to get stuff done and be successful or you don’t. You need to make an honest assessment and determine if you have what it takes. He also recommends getting in the habit of constantly learning and being self-aware. You can listen to Amanda and Adam share more insights here.